Las Vegas casino owner Sheldon Adelson. Las Vegas casino magnate Sheldon Adelson is joining the fight against a ballot question to legalize marijuana for recreational use in Massachusetts, donating $1 million to an opposition group, officials from the group said Friday. The sizable contribution from Adelson, a Dorchester native, will appear in public filings next week, according to the Campaign for a Safe and Healthy Massachusetts. A spokesman for the Campaign to Regulate Marijuana like Alcohol in Massachusetts, a group supporting the ballot question, could not be reached for comment on Friday night. Question 4 on the November ballot seeks to legalize the possession, use, and giving away of an ounce of less of marijuana for recreational use by adults aged 21 and older as of Dec. 15. Retail sales could begin in January 2018. Marijuana for some medical purposes is already legal in Massachusetts. 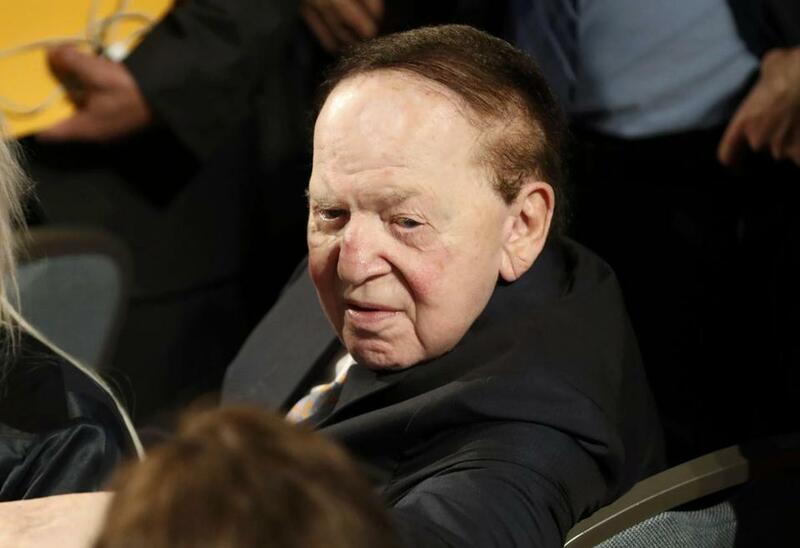 Adelson, the billionaire chief executive of the Las Vegas Sands Corporation, and his wife have donated generously to Republican political candidates and committees, as well as efforts to combat addiction. The couple founded the Adelson Clinic in Las Vegas in 2000, which provides treatment and counseling services to patients battling opiate addictions. The clinic also has a location in Israel, according to its website. Additional donors to the antimarijuana-legalization effort in Massachusetts have included Bruins icon Bobby Orr, who contributed $1,000 to the Safe and Healthy Campaign. The Yes on 4 contingent has raised more than $3.3 million so far this year, while opposition groups had taken in roughly $634,000, not including Adelson’s donation, according to campaign finance reports that were publicly available on Friday night.